When you go certain places and you win, you anticipate winning there,” Price said. “There’s a good feeling that you have as a team when you go into ball parks where you’ve had success in the past. This is the guy who leads? Seriously? Price is the type of guy who holds his bladder for an entire four hour flight back from the West Cost because he doesn’t want to upset any flight attendants, even when the fasten seat-belt light is off. He was a great pitching coach, but lacks the surly edge quality that every man needs to be a good manager. When the Reds hired Price, I decided that I was okay with it because it was going to be the same group of veteran Reds core players continuing to trying to make a run and by sliding Price into the spot; it wouldn’t shake things up too badly. However, in the year and change since; it’s become clear that the guy is a mouse; and that window you feel closing is shutting more quickly because Price is a weakling that doesn’t raise the stakes of his players or argue enough calls, or get the most out of less. Bryan Price is the nail in the Reds coffin. 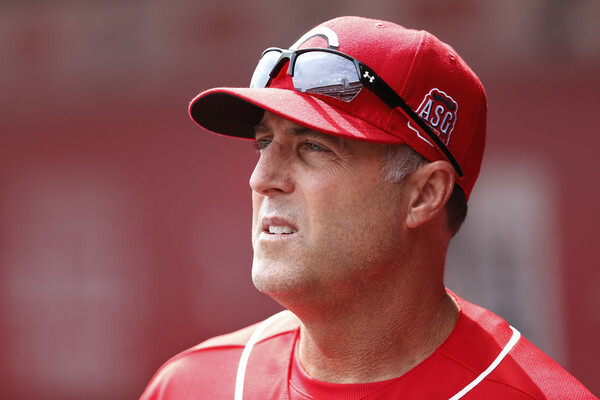 ← Previous Story Are the Cincinnati Reds Good? Next Story → Is Jay Bruce’s career as we know it over at age 28?